Read by Kim: I've loved her books in the past (The girl you left behind, The last letter from your lover) but this one was different. 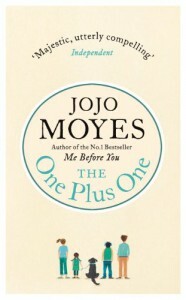 The One Plus One is set in the modern day and only has one storyline. The individuals' stories were fine, but the romance was far-fetched and didn't work for me.